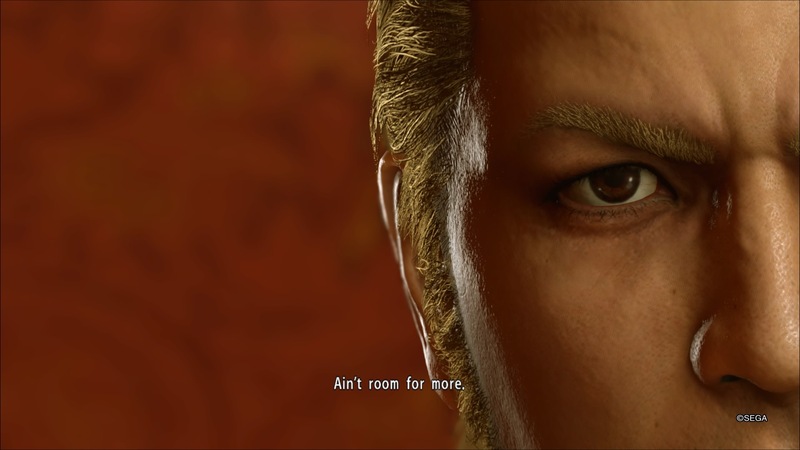 Since my introduction to the series this year with Yakuza 6: The Song of Life (intelligently, I started with the series’ last entry), I’ve since been voraciously digging into any other Yakuza content I could get my hands on, of course ploughing through the recent Yakuza 0 and Yakuza Kiwami on PlayStation 4 as well. Kiwami was especially interesting, as a remake of the original PlayStation 2 game which launched the entire series. 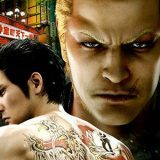 Now, Yakuza Kiwami 2 brings the 2006 PlayStation 2 sequel, Yakuza 2, onto the PlayStation 4 running on the Dragon Engine, and in doing so makes one of the most complete Yakuza games in the series. I don’t think I’ve seen a shift from PS2 to PS4 that has been as drastic as Kiwami 2. Even with top-to-tail remakes like Shadow of the Colossus, the visual detail provided by the Dragon Engine is stunning. In cutscenes, you can make out the individual pores on Kiryu and Goda’s faces, yet it’s the lighting that often impresses the most. Neon lights, coming from different angles are reflected accurately on characters’ skin and the environment around them. The framerate isn’t as fluid as the engine running 0 and the first Kiwami, and more in line with the stable 30fps. However, it still feels incredibly cinematic, like a well-directed Japanese gangster movie at its best moments. The main storyline of Yakuza Kiwami 2 is a direct follow-up of the turmoil in Japan’s criminal underworld that occurred in the original game. The assassination of the chairman of Tokyo’s Tojo Clan brings Kazuma Kiryu back into the Yakuza, in an attempt to stabilise the situation and avoid all-out-war with the faction responsible, the outside Omi Alliance. However, his efforts to broker peace between the two organisations quickly go sour, as the Omi’s ‘Dragon of Kansai’, Ryuji Goda, jumps at the opportunity to create chaos. The rivalry that develops between him and Kiryu, himself the ‘Dragon of Dojima’, makes for a pretty intense match-up, coming off of Nishiki, although Goda does edge-over into cartoonish villainry at times. It still makes for another engaging and interesting deep dive into the seedy underbelly of Japan, with the sins of the past creating repercussions right through to present day, and Kiryu standing alone as an honourable man in an increasingly dishonourable world. It’s also an excuse for a great escalation of set-pieces, as the Omi’s invasion from Osaka into Tokyo makes for some large-scale fights and events. 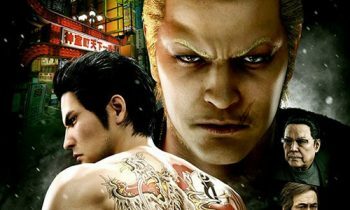 Yakuza Kiwami 2 offers two main districts to explore, Kamuorocho in Tokyo and Sotenbori in Osaka, which as is Yakuza tradition, are filled to the brim with side-activities and ‘substories’. Many of these substories feature Yakuza‘s trademark off-beat sense of humour, which is in stark contrast to the relatively straight-laced main storyline. Their subject matter varies pretty broadly from Kiryu becoming a photo-shoot model, to attracting to the attention of a Grudge-style ghost, to coming across the den of an ‘age-play’ fetishist. It’s, um, some unique content. But it’s also so absurd, especially with Kiryu’s stoic demeanour, that they become an unmissable part of the experience. Kiryu resolves most of his dilemmas with his fists, and the combat in Kiwami 2 follows the basic mechanics set in place by Yakuza 6. On the surface, it’s far simpler than the multiple styles available to Kiryu in Yakuza 0, as just the one, upgradeable move-set is available. However, a new focus on weapons allows you to collect and store any swords, knives or baseball bats that enemies drop, making it far easier to pull them out for regular fights, rather than saving them for special boss occasions. New charge attacks also feel great, especially when they connect with an underpowered grunt, sending them flying. Like Yakuza 6, the greatest pleasure in combat comes from sending baddies flying, either through grabbing and throwing them, or finding a sufficiently large piece of scenery, like a bicycle, spinning it around and letting physics do the rest of the work. The progression and digestion system from Yakuza 6 also returns, which lets you collect points in various categories of attributes to spend on abilities within them, like health upgrades or new quicktime ‘Heat’ actions. Eating good quality food at restaurants, without making Kiryu too full, will also boost the number of points you can spend on levelling up as well. However, along with punching things, Yakuza Kiwami 2 also lets Kiryu indulge in a wealth of activities, culled from what’s worked and what fans have enjoyed from the series’ past entries. The clan creator from Yakuza 6 returns as the ‘Majima Construction Company’, made instantly more likeable and fun thanks to Majima’s inclusion. Cabaret Club Grand Prix is a variation on the hostess club management sim from Yakuza 0, with a series of challenges and its own villains to topple that’s quite separate to the main storyline of the game. Kiryu can wind down playing darts, mahjong, karaoke (although it’s missing the incredible 80’s music videos from 0) and even fully playable arcade versions of Virtua Fighter 2 and Virtual-On. As mentioned in my last article, there’s also some really out-of-place activities that feel beyond even this series’ sense of humour, like one that involves watching live action video of models, photographing them in various states of undress, and then trying to come up with ways to flirt with them. On top of all of this, a second campaign has been added alongside Kiryu’s main adventure, which is slowly unlocked as you progress through the game. This campaign follows everyone’s favourite mad dog character Goro Majima, in a long-awaited follow-up to his storyline in Yakuza 0, while also setting up how he finds himself in (relatively) civilian life by the beginning of Yakuza 2. While more Majima is never a bad thing, it’s also disappointing that his storyline is nowhere near as deep or involved as his inclusion in Yakuza 0, with no side activities or much to do outside the main thrust of the storyline, which is over after three short chapters. However, even if Majima’s secondary campaign is disappointing, that doesn’t detract from the amount of content – and not only that but fun content – that’s available in the main Yakuza Kiwami 2 experience. 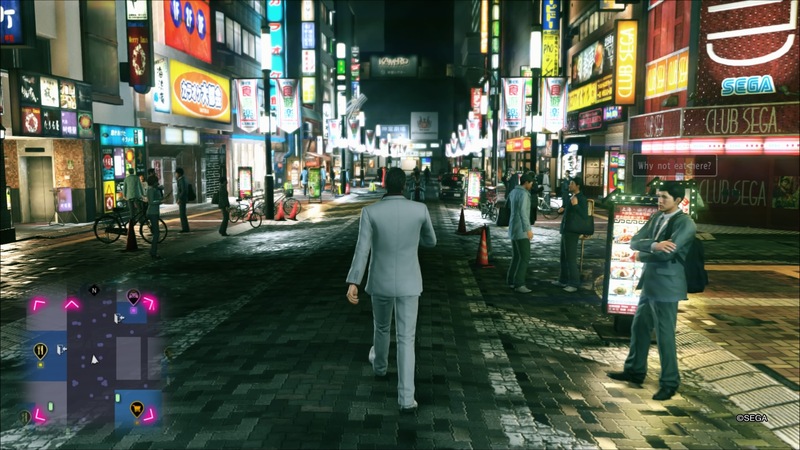 The Yakuza series has a well-earned reputation of taking specific locations in Japan that may not be large in scale, but are filled out with detail and personality. I can’t think of many other locations in games recently that I know as well as I do Kamurocho and Sotenbori now. Yakuza Kiwami 2 bursts with personality from every aspect, from its visuals to its characters, and its mechanics feel refined and further tweaked from Yakuza 6 to work in favour of its strengths. Honestly, I’d recommend the entire Yakuza series at this point, especially all of its entries on PlayStation 4 so far, but Yakuza Kiwami 2 especially feels like one of the most complete Yakuza packages I’ve played. It’s a massive, yet loving, upgrade on the original PlayStation 2 classic, and an essential purchase for anyone interested in genuinely fascinating game-worlds, or well told stories.